No way! After having a good time in Lich, we couldn’t head back home. It just didn’t feel right. We all felt like we need to travel a bit more…. just a bit more before we head back. We drive a bit down (away from Latvia) and stayed at a funny small city called Leidersbach. It’s funny cause there is one of the biggest collections of wedding shops. It is close to Frankfurt so I guess some people come there for a wedding dress shopping. It’s a small city in between two mountains (as most of the cities in this region). So… we took a small walk up the hill to see the village from above. There are 3 walking routes but none of them was short enough for our walkers. We stayed in the playground for the whole day. 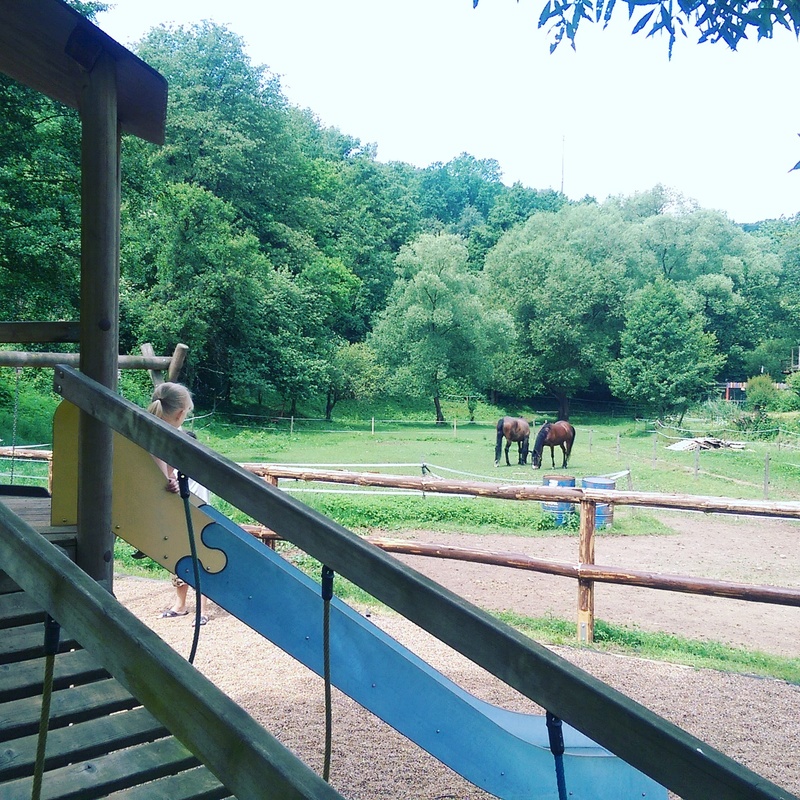 This playground has two horses. Yes, horses! Yes, the real ones! At the beginning I was happy to have those two so close the playground but staying longer and longer I wish they be somewhere else…. and the reason is the fence. They don’t have a proper fence around. Two of my girls can easily cross the border like walking under the fence… Well, we explained million zillion times that walk inside the horse rodeo. I guess finally they heard us. Pasta with cheese is something everyone loves in this family. So why not be easy with cooking?! 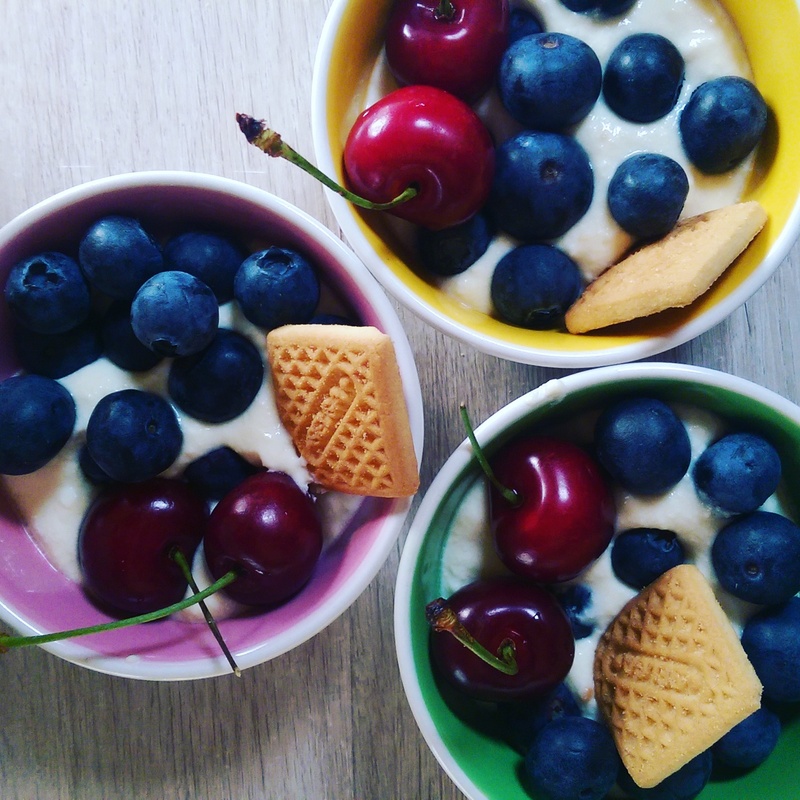 …and the cheesecake in the bowl. Why not? We slept well and was woken up by the church’s bells at 10 am! Are we heading home? Lich. Another lovely day. So exciting for me to see these different places with you. 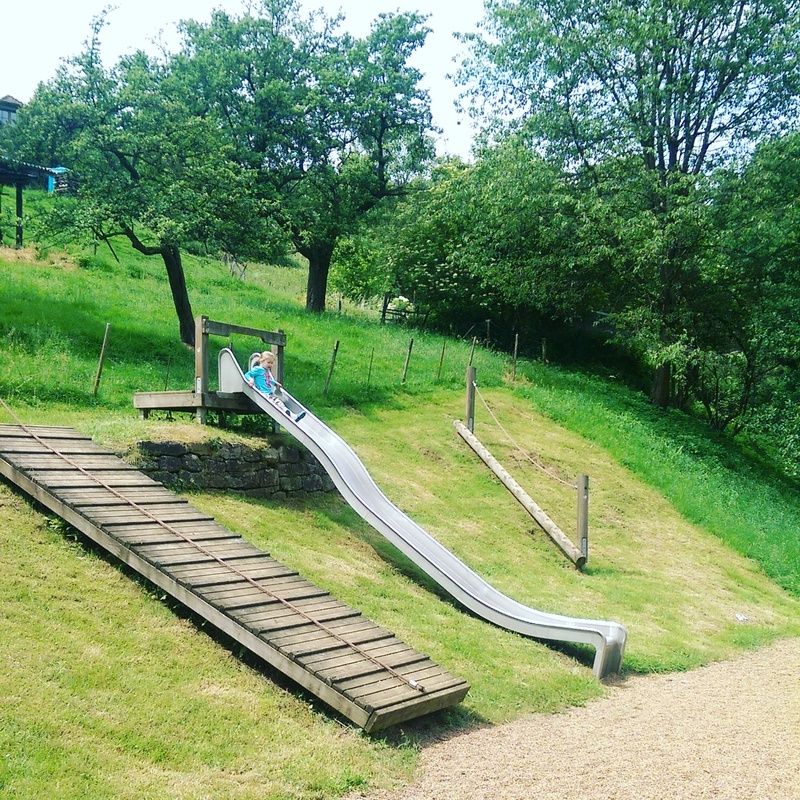 You may want to call this trip a playground tour. Lol. 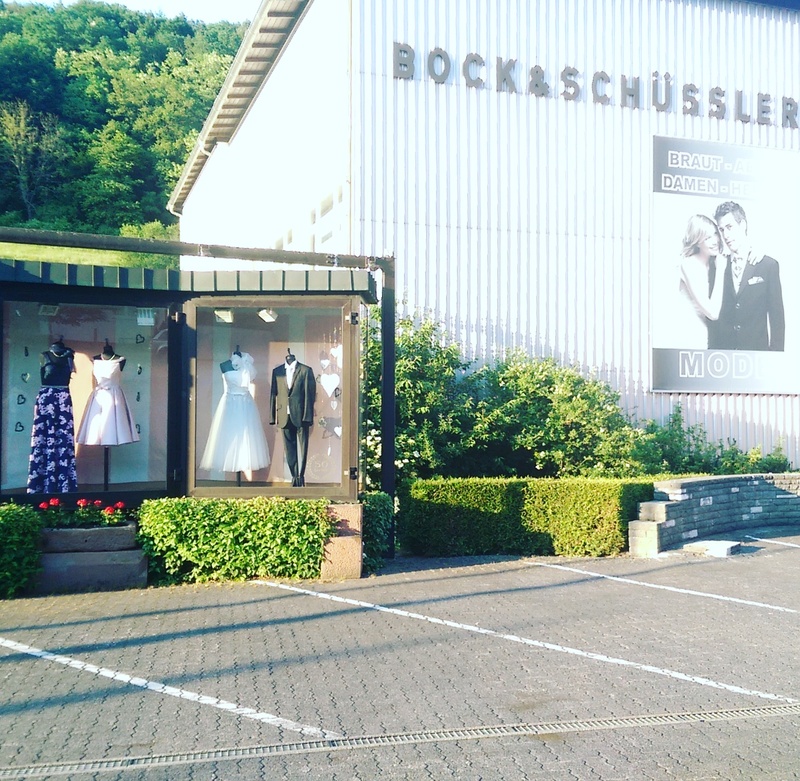 Certainly seems that Leidersbach is an unusual town with so many wedding dress shop. 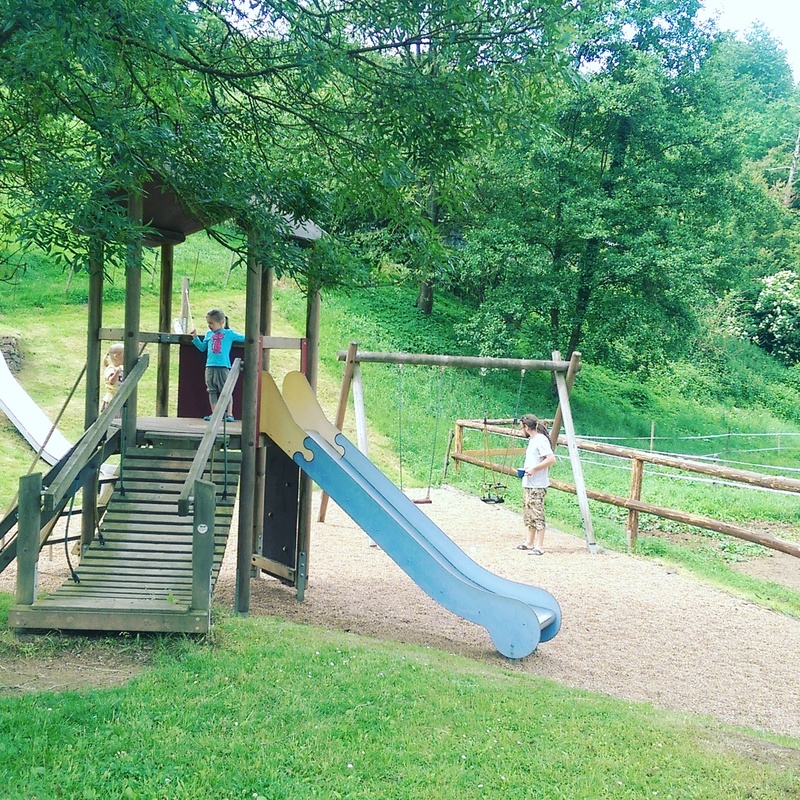 The playground looks great but can understand your concerns about the horses. A bit strange really. Well the girls seem happy with the arrangements, so it is all good. Your meal sounds good as well. I am sure you had very happy campers when you served it up. 🙂 my campers where happy. They would love pasta & cheese for every day but I can squeeze something else easily.